Delivery Prices. For UK customers the delivery charge will be £10. For European customers the delivery charge will be £25 and £50 for outside Europe. Delivery Information. We usually deliver all items using Royal Mail or myHermes but this can not be guaranteed, where a signature will be required to ensure you receive the orders. If nobody is available to sign for your delivery a card will be left. This card will contain a telephone number that you can call to arrange delivery on a more suitable working day (Monday-Friday). Please note there may be an extra charge for redelivery if the second delivery attempt fails. Alternately you can pick your delivery up at the local depot, the address will be printed on the card. 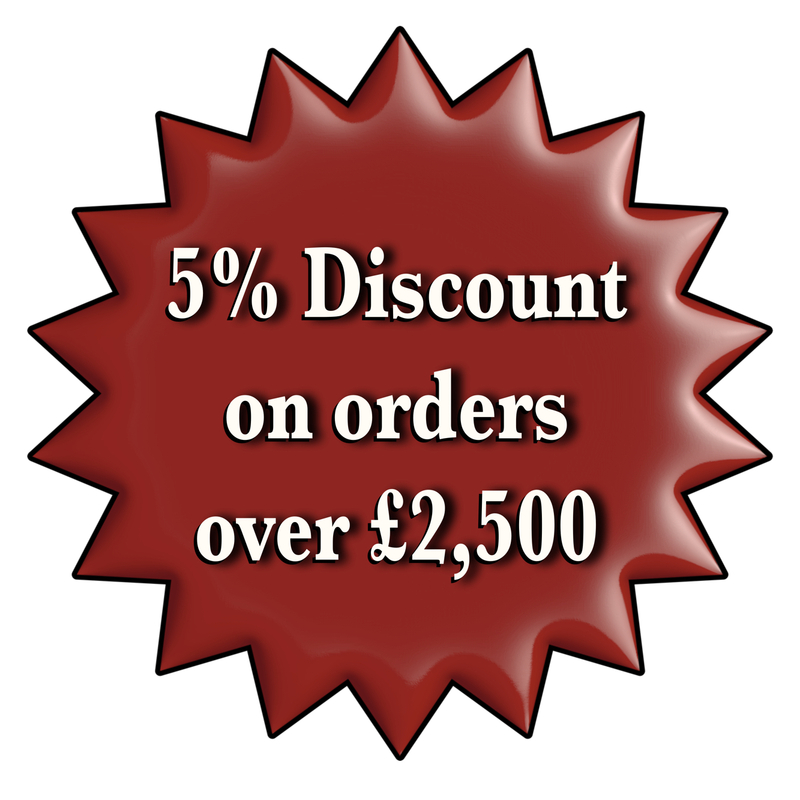 If no contact is made by the customer within 7 days the delivery will be automatically returned to us; we will restock the item and refund the cost of the item to yourselves minus a 10% administration charge plus postage costs. We will always try and deliver items as soon as possible. Refused Deliveries. If delivery of your item is refused, it will automatically be returned to us. We will restock the item and refund the cost of the item to yourselves minus a 10% administration charge plus postage costs.